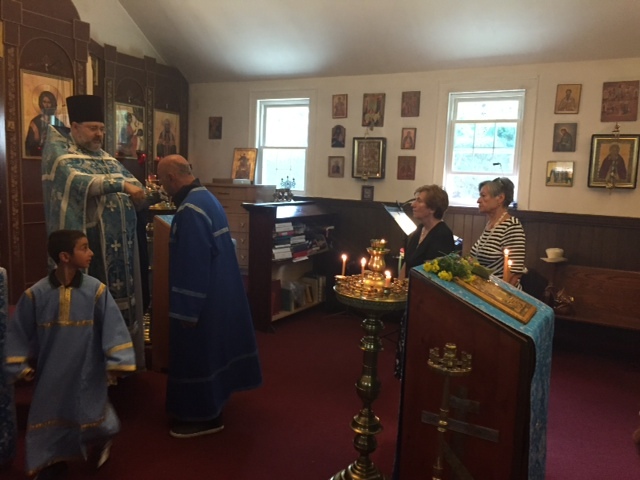 On September 27th, on the feast of the Exaltation of the Precious and Life-giving Cross, we had a solemn celebration at our temple. 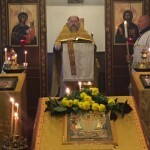 Before the Hours St. George’s Rector, Archpriest Igor Tarasov placed the cross in the middle of the church and venerated it. 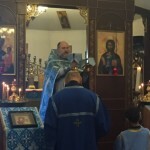 Following the end of the Liturgy the Rector performed the rite of Glorification before the Cross and the icon of the feast singing the troparion, kontakion and magnification of the Exaltation. 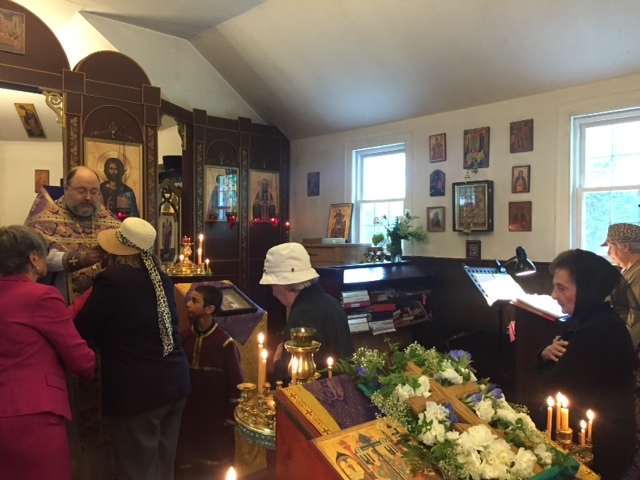 After that the Rector and parishioners venerated the Cross. 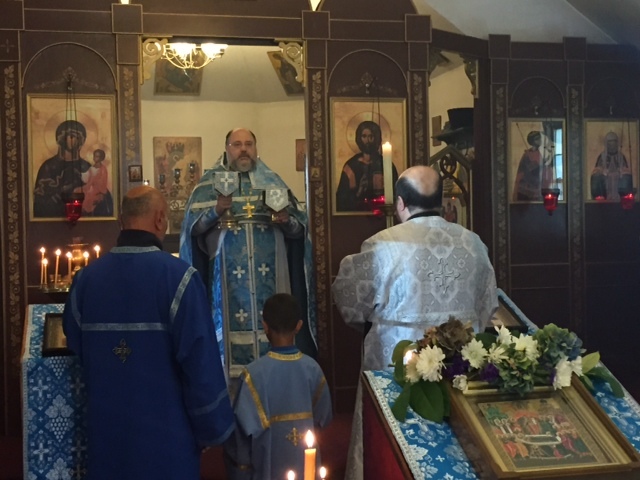 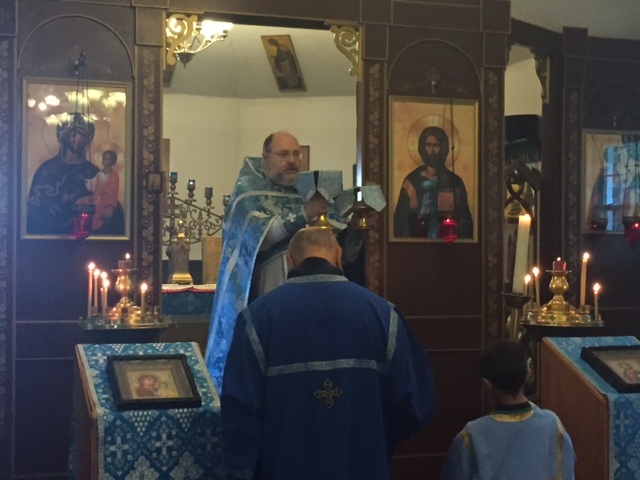 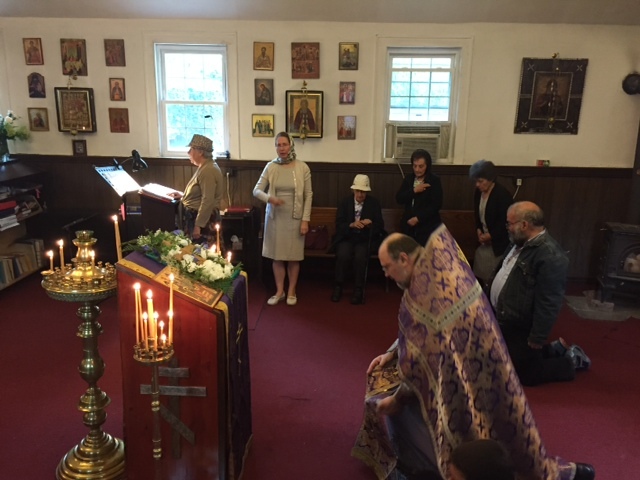 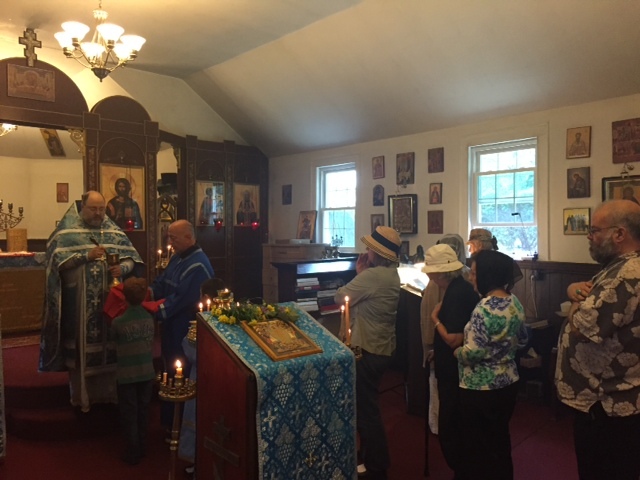 On September 20, on the Sunday before Exaltation of the Cross, St. George parish had a proper liturgical service. 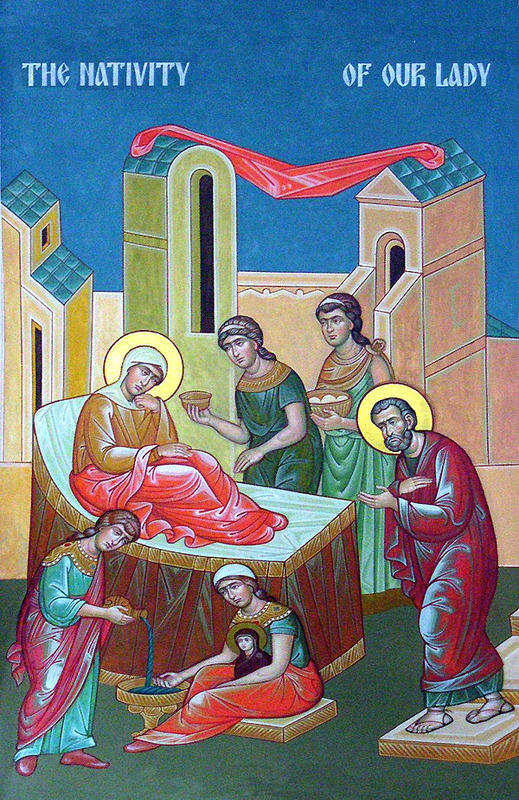 We also observed feast of the Nativity of the Most Holy Mother of God which was falling on the next day. 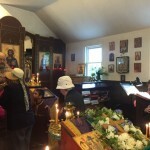 Despite a small number of people attending the temple we had a nice celebration. 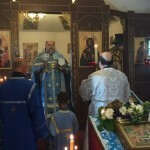 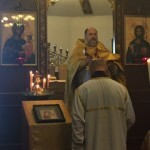 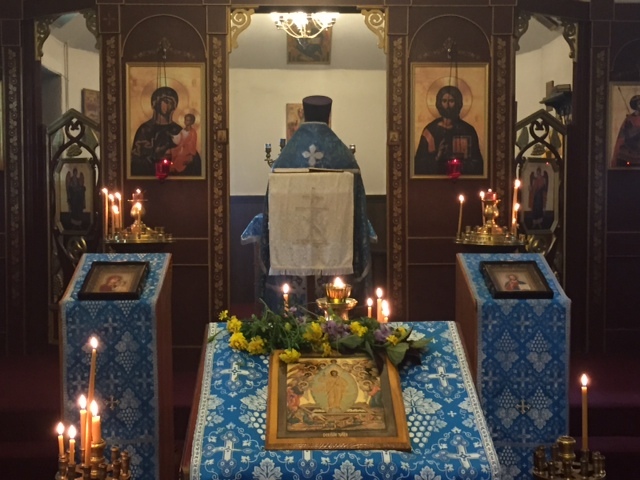 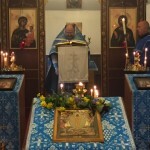 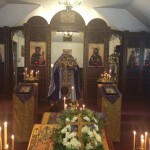 After the Liturgy dismissal the Rector performed the rite of Glorification in front of the icon of the feast, singing the troparion, kontakion and magnification of the Nativity of the Most Holy Theotokos. 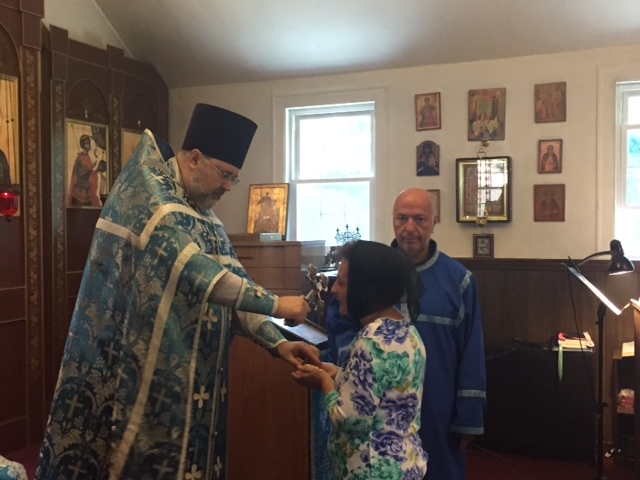 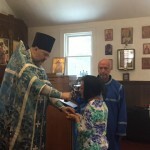 Following the Divine Liturgy the Rector congratulated our long-time parishioner Natalia (Dolores) Soho on the occasion of her past name day. 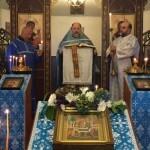 Traditional Polychronion (“Mnogaia leta”) was sung. 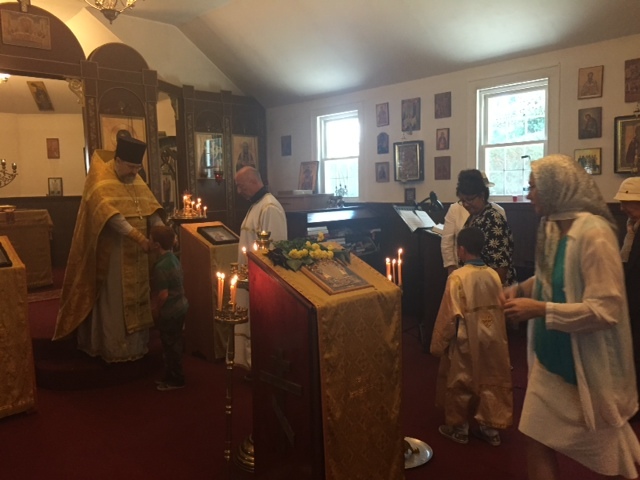 Our Sunday celebration continued at the trapeza table where the Rector and parishioners enjoyed delicious meals and a nice company. 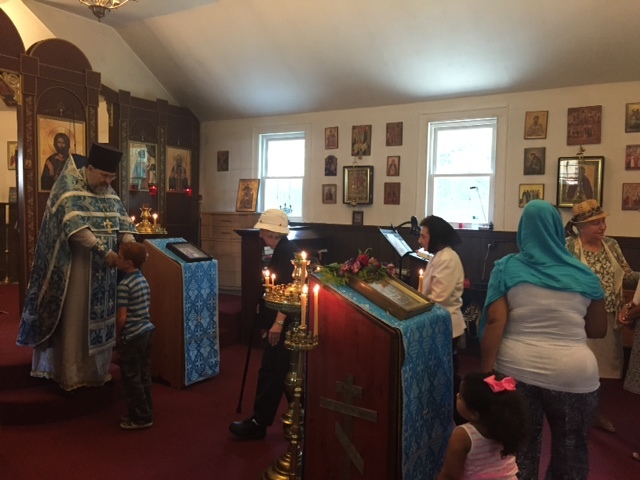 On September 6 St. George parish family celebrated the 14th Sunday after Pentecost. 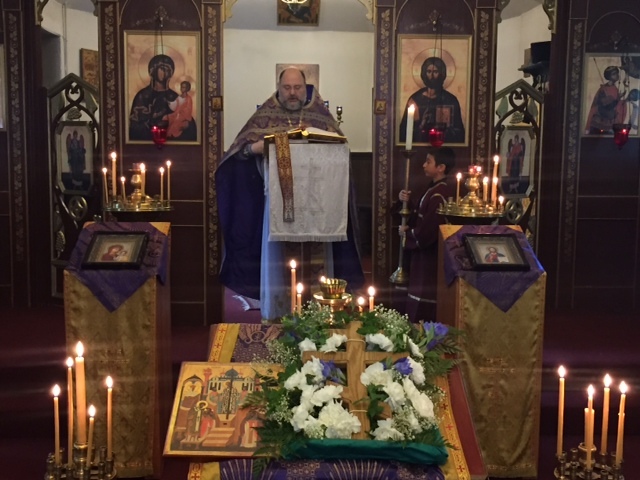 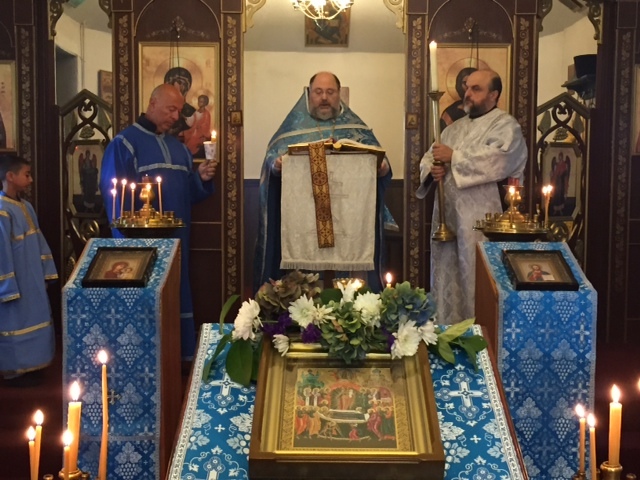 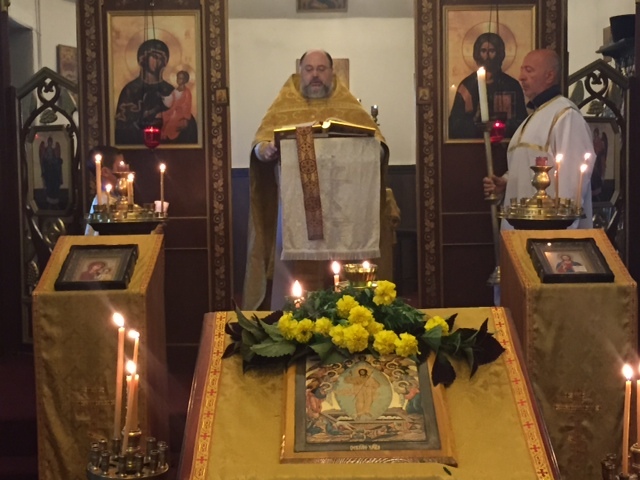 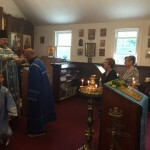 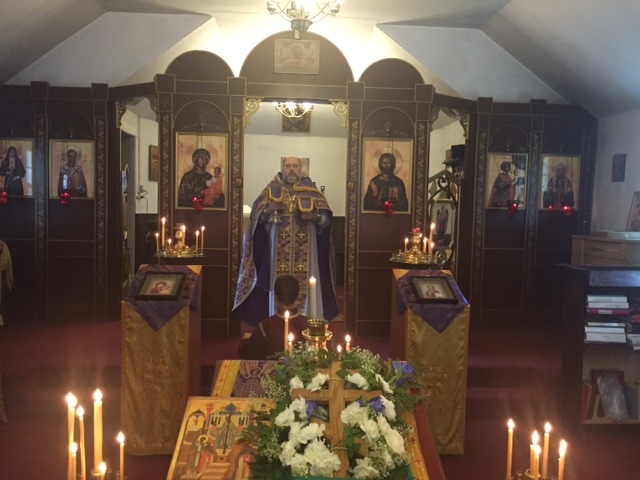 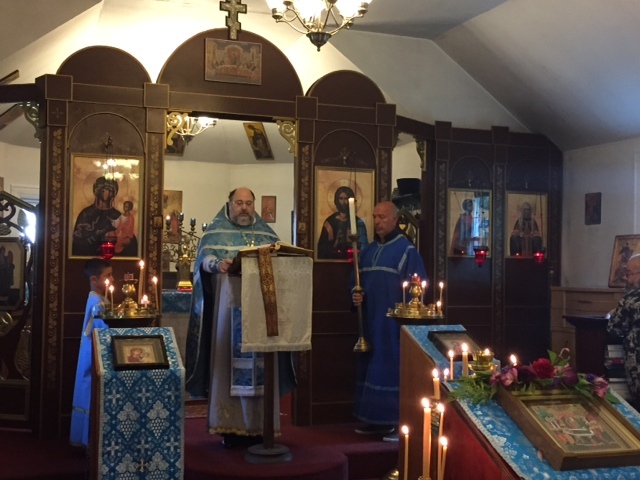 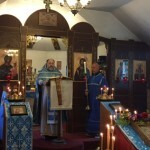 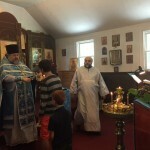 We had a nice liturgical celebration led by our Rector, Archpriest Igor Tarasov. 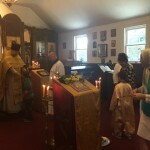 Following the Gospel reading Fr. 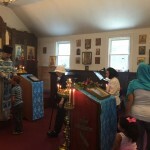 Igor preached a homily on that Scripture lesson. 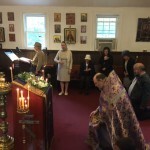 It was about the parable of the Wedding Feast (Mt. 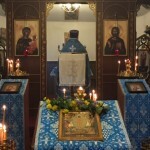 22, 1-14). 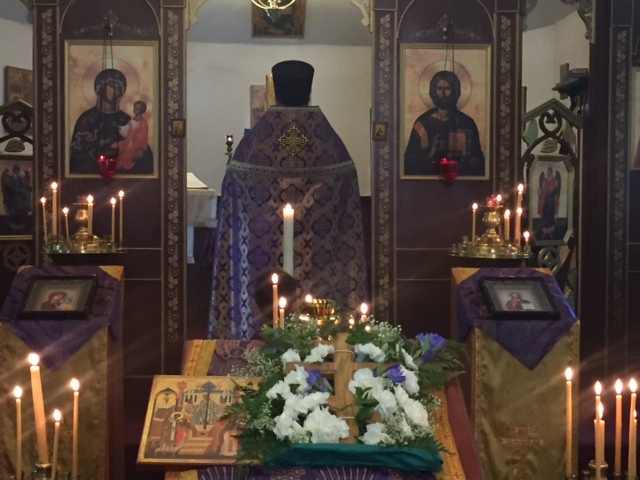 Again, the Lord was describing His eternal Kingdom in parables, so the Apostles could understand it. 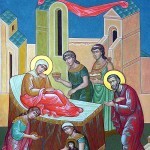 This time the Kingdom of God was compared to the wedding feast prepared by a king. 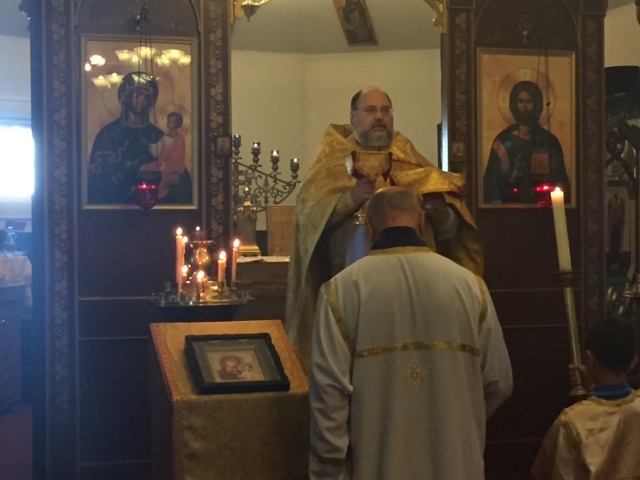 The Rector explained the parable and stressed our duties as of those who are invited to that feast prepared by God in honor of the wedding of His Son which is the union of God and His Church, His holy people. 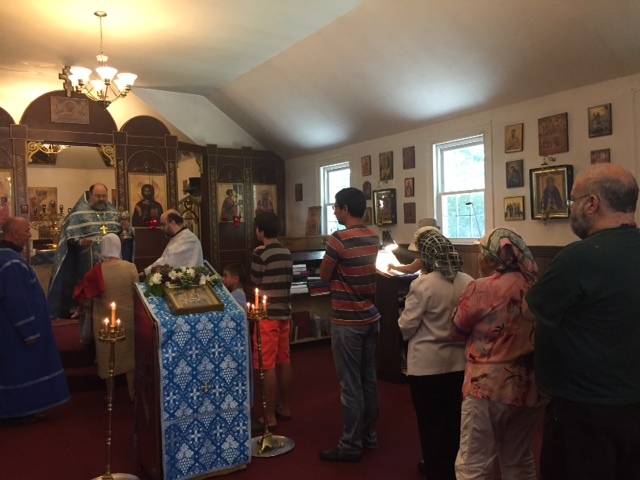 Since by the decision of the Holy Synod of the Russian Orthodox Church, the first Sunday of September is now dedicated to the prayer for preservation of God’s creation and environment, at the Litany of Fervent Supplication the Rector added special petitions on that behalf. 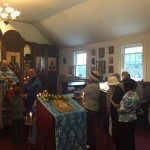 Following the Litany a special prayer for the creation’s preservation was offered. 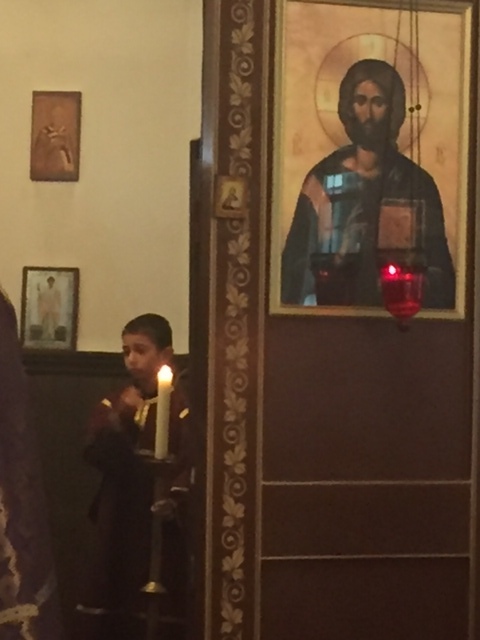 “And how do we react? 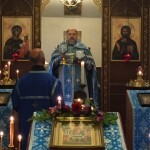 Do we reject everything sent to us, everything allowed to us, as a chance to do better, to make good our weaknesses? 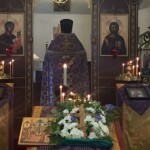 Do we fail to see God? 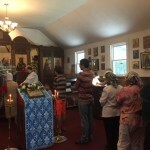 Do we ignore the Church? 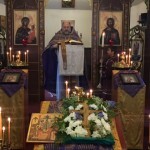 If so, then we too beat and stone and kill the servants of God. 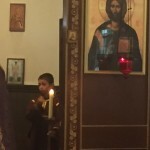 We are warned: the Heir is coming. 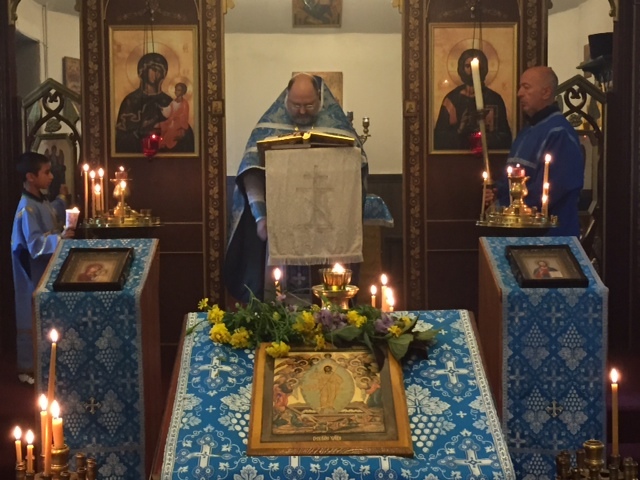 Following the liturgical services the Rector and parishioners enjoyed delicious meals and a nice company at the trapeza table during the coffee hour. 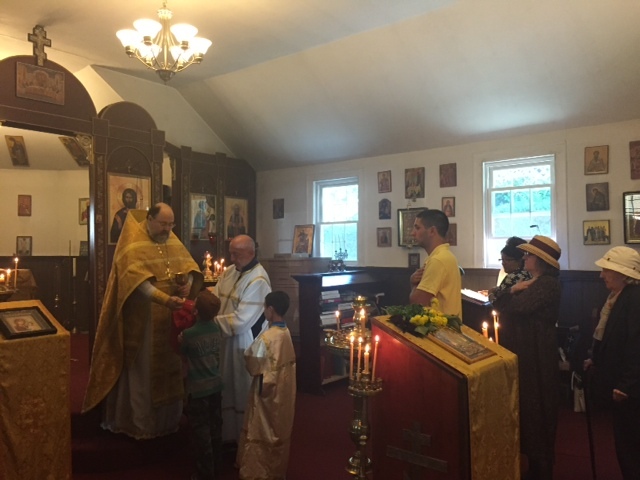 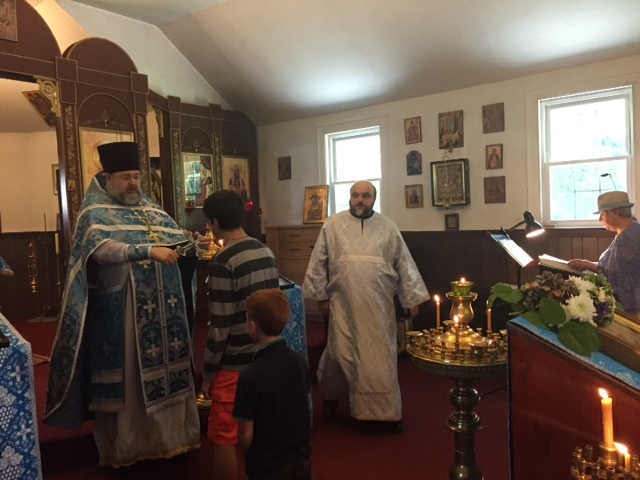 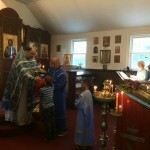 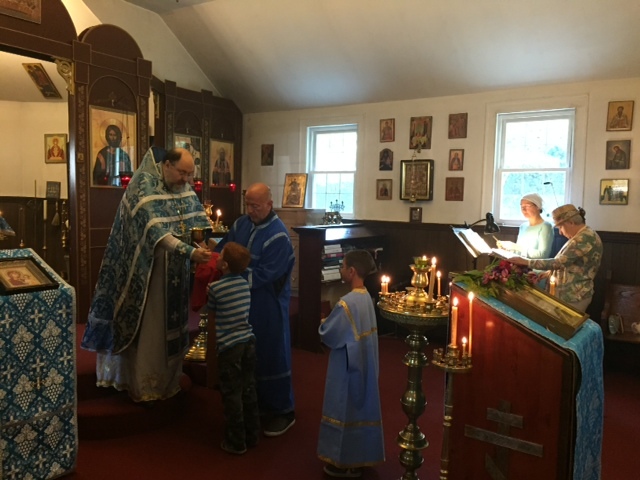 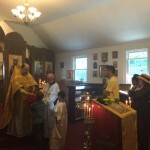 After the dismissal of the Liturgy the Rector and altar servers performed the rite of glorification in front of the icon of the feast, singing the troparion, kontakion and magnification of the feast. 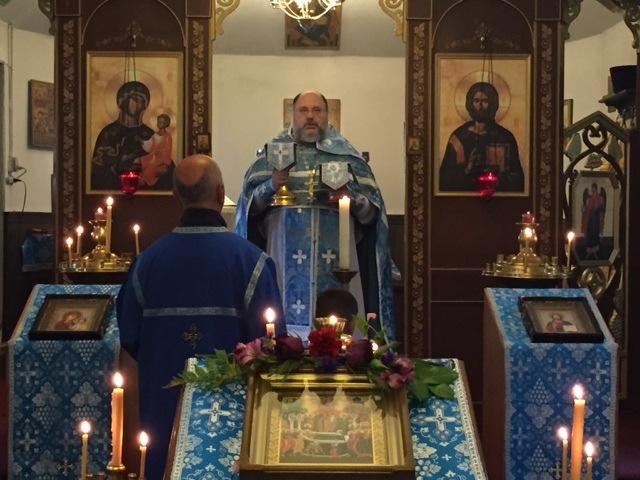 The Rector also congratulated the faithful on the occasion of this great holy day and on the conclusion of the fast in honor of the Most Holy Mother of God.